The Vision of Australasian Academy of Paediatric Dentistry is optimal oral health for infants, children and adolescents including those less fortunate, and those with special needs. The Australasian Academy of Paediatric Dentistry is the principal professional organisation representing the Oral Health interests of children. 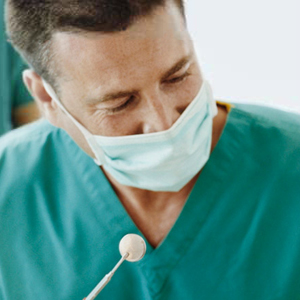 The Paediatric Dentist is recognised as the Specialist Primary Oral Health Care Provider. The Australasian Academy of Paediatric Dentistry is a professional organisation of Specialist Oral Health Care providers with approved postgraduate training, whose primary concern is the practice of Paediatric Dentistry, including education and continuing research. The purpose of the Academy shall be the advancement of the Specialty of Paediatric Dentistry for the benefit of community oral health. Despite the advances in community oral health, nearly half of all children experience dental decay before entering pre-school. Dental caries is more common than asthma. Children from disadvantaged backgrounds are three times as likely to have dental problems before the age of 2 years. Dental Caries is an indicator of the inequalities of life. Dental Caries is a significant economic burden with $6.7 billion spent on dental treatment in Australia every year. Public funding for early childhood dental examination on a six monthly basis. There should be increased rebates to assist families to access Specialist Paediatric Dentists for management of their children’s oral health needs when required. Children with Early Childhood Caries (ECC) have limited treatment options because of the extent of their dental disease and their inability to cope with traditional dental office procedures. Current waiting lists in public hospitals preclude efficient treatment. There is a community need for improved access to general anaesthesia for children with special needs and children with severe oral disease.